This is a good album. It’s got some cool songs. There are only a handful with vocals. Much of the disc seems a showcase for guitar soloing. That guitar soloing is quite good. It’s just that at times this seems a little monolithic in nature. Also there’s a bonus track here that should have been left off. It really detracts from the set. All in all, this is quite good, though. The guitar sound and riffs on this introductory instrumental are classic. It’s a great way to start things in style. As this opens, it’s in quite a similar style to the previous piece. It works through some shifts and changes as the guitar solos over the top of the cut. This instrumental isn’t extremely complex and is more or less just a guitar showcase. More of a melodic rocker, there is a real classic element here. This is catchy, nearly pop music with a real no-frills rock and roll sound to it. Another instrumental, this is intricate and quite pretty. It definitely leans toward progressive rock. It’s quite melodic and quite tasty. A bit more of a straight ahead rocker, this instrumental is good, but a bit samey in comparison to some of the other stuff. It’s definitely another guitar solo showcase. Closer to heavy metal, vocals return here. I’m reminded of King’s X just a bit. It’s some variety just when we really needed some. There is a psychedelic rock edge to this piece, too. The guitar solo is particularly noteworthy as it really seems to speak. This instrumental has some lush keyboard sounds as the backdrop. It’s mellower and more proggy and a bit slower than the other stuff here. It’s a good tune and another bit of welcome variety. Although this is more in the familiar territory a cool riff keeps it from getting samey. That said, it does come pretty close to outstaying its welcome. A few vocals would have gone a long way towards bringing some variety. This acoustic based version of the previous tune works pretty well. It’s not as strong as the main version, though. In part that’s because the vocals, which are adequate, but not far beyond that, are a more critical part of the arrangement. They worked better on the more fully realized version. Still, this is a fun tune that works pretty well and serves as a good closing piece. 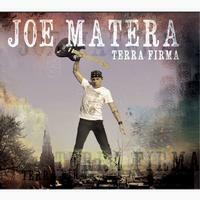 Matera should have left this acoustic track off. It’s not a very good number to begin with and the vocals are sometimes off-key to the point of being painful. This album would have been much stronger without this one.